“Instead of being consumed by kidney disease and wallowing in my problems, I committed to being part of the solution,” said Christine Holmes, 43, of Overbrook Park, Pa.
Holmes is suffering from end-stage kidney failure and is currently on dialysis while waiting for a kidney transplant. She is one over 6,300 people in Pennsylvania who are waiting to receive a life-saving kidney. “I’ve been on the list for three years, and I am patiently waiting for that phone call,” she said. Kidney disease has dominated Holmes’ life, and that of her family. Her father, James Petter, died at 29 from kidney disease, as did her grandmother Ruby. But once Holmes learned she had kidney disease in 2000, she adopted a healthier lifestyle and joined the fight against kidney disease in Pennsylvania. Now she is leading organizer of the Philadelphia Kidney Walk, and has participated in the event for the last four years, along with a team called Christine’s Rubies, which is dedicated in memory of her grandmother, Ruby. Christine’s Rubies is a group of local friends and family members, many of whom have lost a loved one to the disease or whose loved ones are directly affected by kidney disease. Holmes and the members of Christine’s Rubies are passionate about the cause. 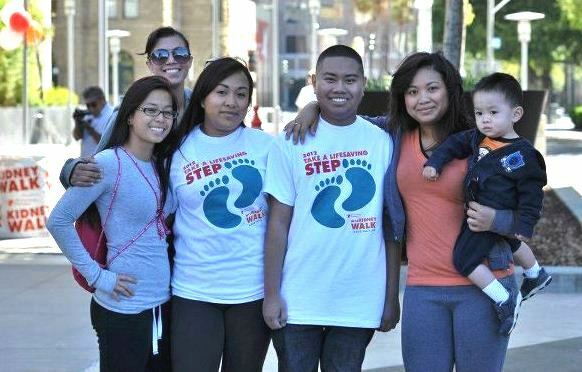 “I walk first, to raise awareness of kidney disease,” she said. “Some kidney diseases, like mine, are hereditary, so while a cure may not be found for me, it’s important to educate and inform about kidney disease and the possibility of saving a life through organ donation. Walk Talk Wednesday: You’ve just made a personal donation, sent out emails to family and friends and downloaded the Kidney Walk app for your phone…but you want to do more. Matching gifts are a quick and easy way to double your impact, engage your employer in your fundraising efforts and further help the National Kidney Foundation. 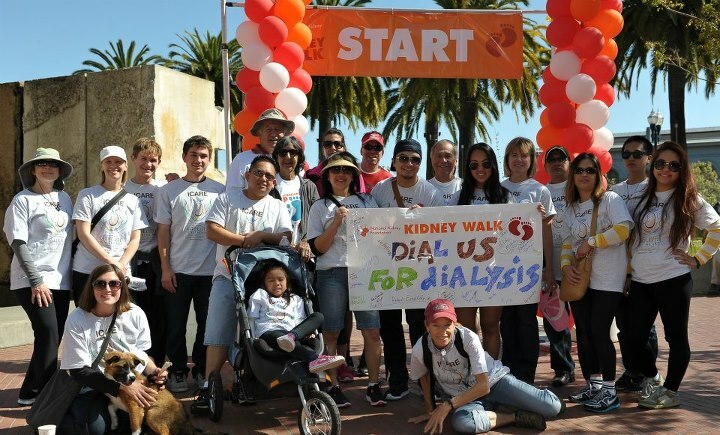 Follow us on Twitter @NKF and use our official hastag #KidneyWalk. 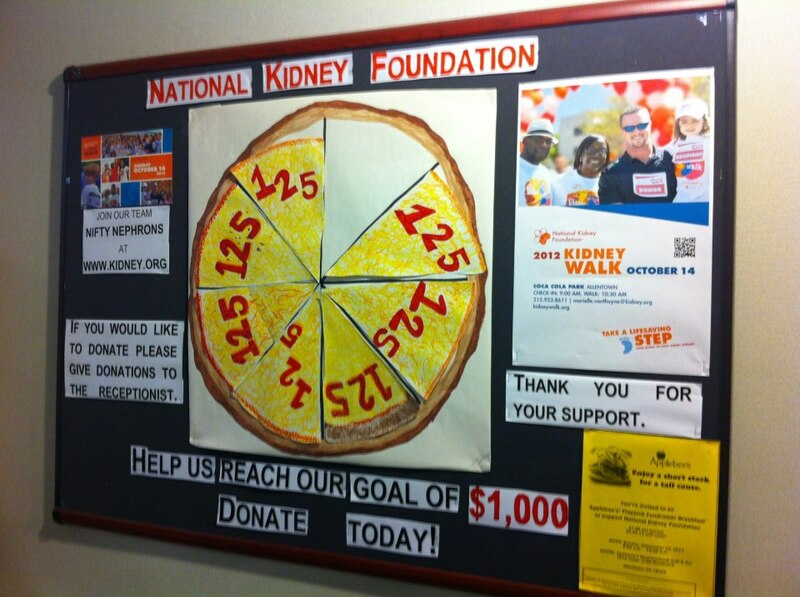 Check out what the Nifty Nephrons team did to spice up their fundraising for the Lehigh Valley Walk on October 14th! This team decided to shy away from tradition and work together to raise pieces of the pie (a pizza pie that is). What creative idea has your team used to celebrate each milestone along the way to your goal? Share your story here. We want to highlight other great Kidney Walk ideas. Remember to follow us on Twitter @NKF #KidneyWalk too. Round 2…where will you walk? Week 2 of walk season is underway and we hope you’re planning on joining us for one of the 4 walks taking place this weekend. Follow the links below to register TODAY! The National Kidney Foundation offers great prizes each year to reward our fundraisers for their efforts. The more you raise, the bigger the prize! All participants who raise at least $100 will receive an official Kidney Walk T-Shirt on the day of the walk. Prize levels above the $300 level will be available from our online redemption company. Go for the gold, and earn great prizes including commemorative clothing, electronics and more! Need ideas on how to fundraise? Check out the walkers page on the blog for some great tools to help you reach your goal and more! We stand here, the Friday after Labor Day, ready to start walking! That’s right the Fall walk season is kicking-off this weekend with two walks – one in Milwaukee and one in Ann Arbor! Are you from one of these areas? If so, follow the links below to register TODAY! We have a lot of fundraising ideas to share with you, but we also know that you have a lot of wonderful ideas up your sleeve. Share your best fundraising ideas with us and you might just see them show up in a future Facebook or blog post! Below are some of our favorite fundraising ideas as well as a great document with many more options! Blue Jeans Days – rally your company behind the cause and ask for donations for NKF. In return your co-workers can dress down on Fridays. Yard Sale – you want to get rid of that stuff that’s been lying around your house, so why not host a yard sale and donate the proceeds to Kidney Walk.